We love the passionate team and collegiate fans! Planting a combination of flower colors may not be as daring or as drastic as body-painting but might be a tad bit easier and more accepted by your friends, family, and neighbors. 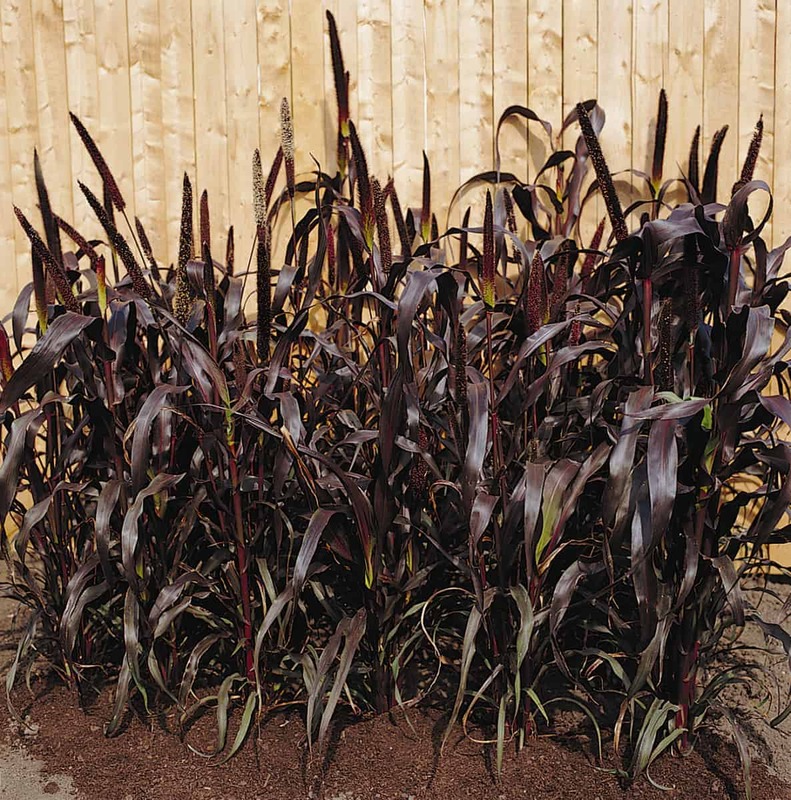 <wink> So, take a look below at some recent AAS Winners that are perfect container or landscape plants that can be used in combinations to suit your team’s colors. Have fun and show your support! This might be one of the most stunning color combinations imagined! 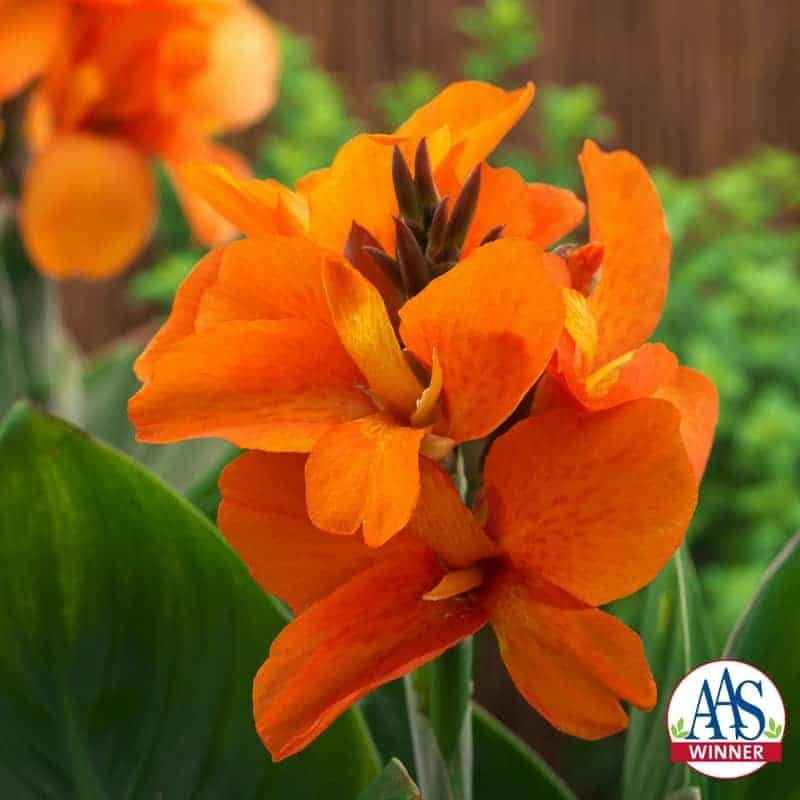 South Pacific Orange canna with Purple Majesty ornamental millet make a bold statement for the fan whose team colors are orange and black. With cannas that grow to about 24″ tall and ornamental millet that can get up to 5′ tall, we see this duo in either large, statement-type containers or planted en-masse as a landscape item. Any Baltimore Oriole or San Francisco Giant fans out there listening??? Any Oklahoma State or Princeton alumni doing some school color plantings? We would love to see some photos! It’s always nice to “kill two birds with one stone” so to speak. (Please note: no one is implying that any teams with bird mascots be murdered.) 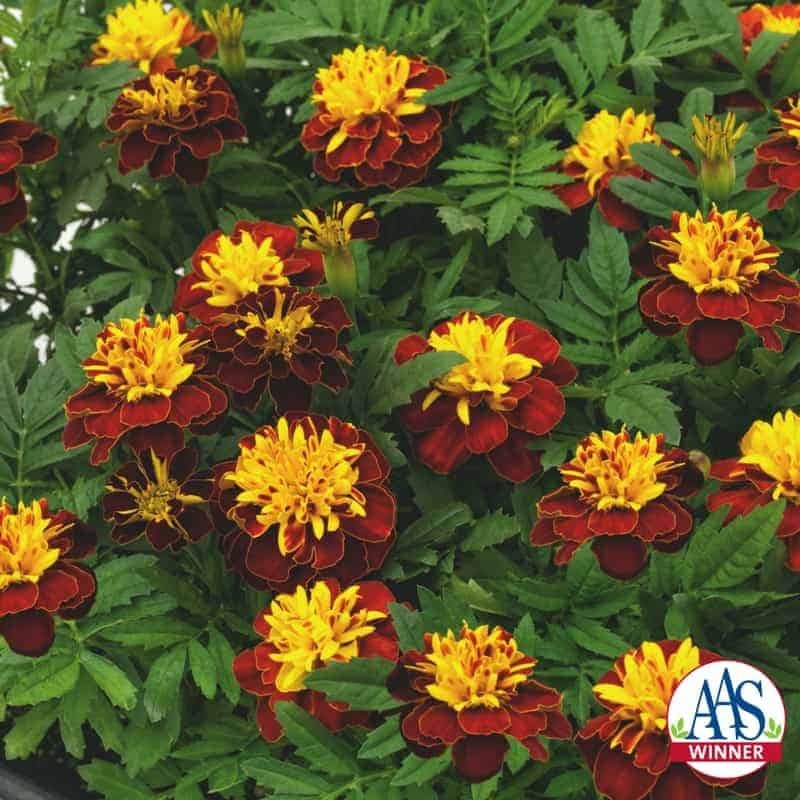 Super Hero Spry marigold sports two vibrant colors in one beautiful flower form: yellow gold and maroon, making one flower serve any organizations (Loyola, University of Minnesota, Washington Redskins, etc.) using those as their team colors. 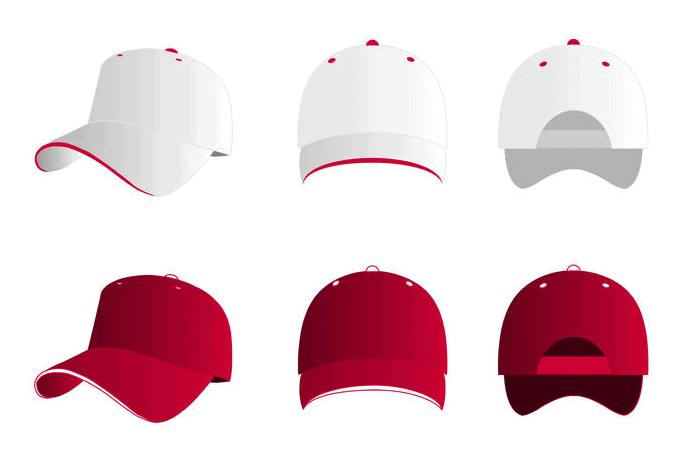 On the right, Penstemon Arabesque Red is a one-stop shop for the many, many teams who use red and white as their primary colors. Many of the AAS Display gardens are on university campuses and we have had great conversations with those horticulture managers who are looking for the perfect red flower that won’t fade. In recent years, we’ve trialed two that have performed so well in trials that “true-red” seekers have found the flowers of their dreams! 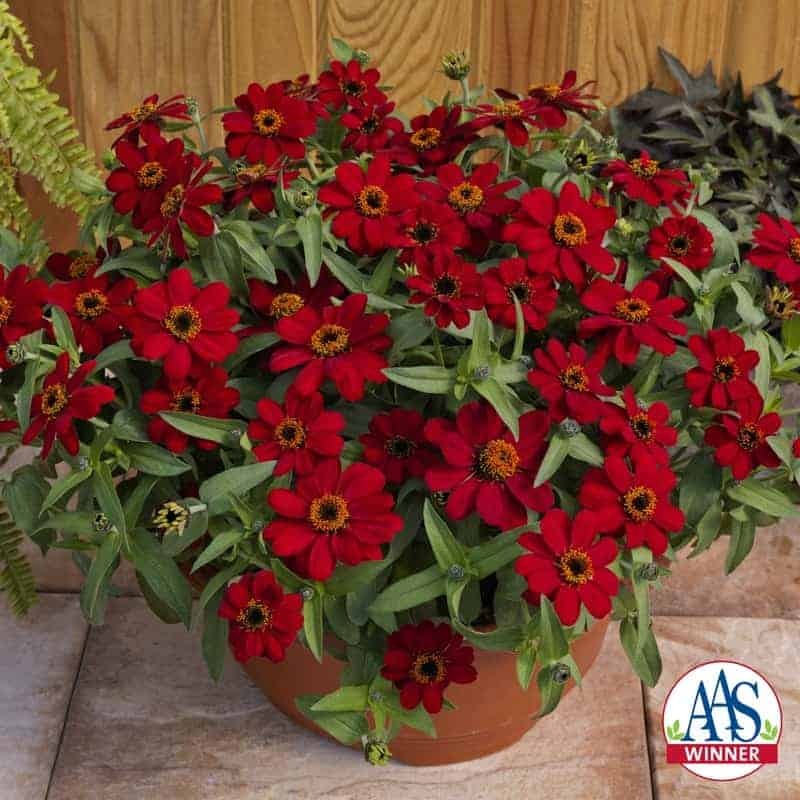 On the left, Profusion Red zinnia is the fourth color in the single flower series to win the coveted AAS Winner award. Profusions are ground-breaking plants because of their compact form, disease resistance, early and continuous blooms all season long. On the right, Deep Red Calliope® geranium is an interspecific hybrid with zonal-type flowers and leaves. 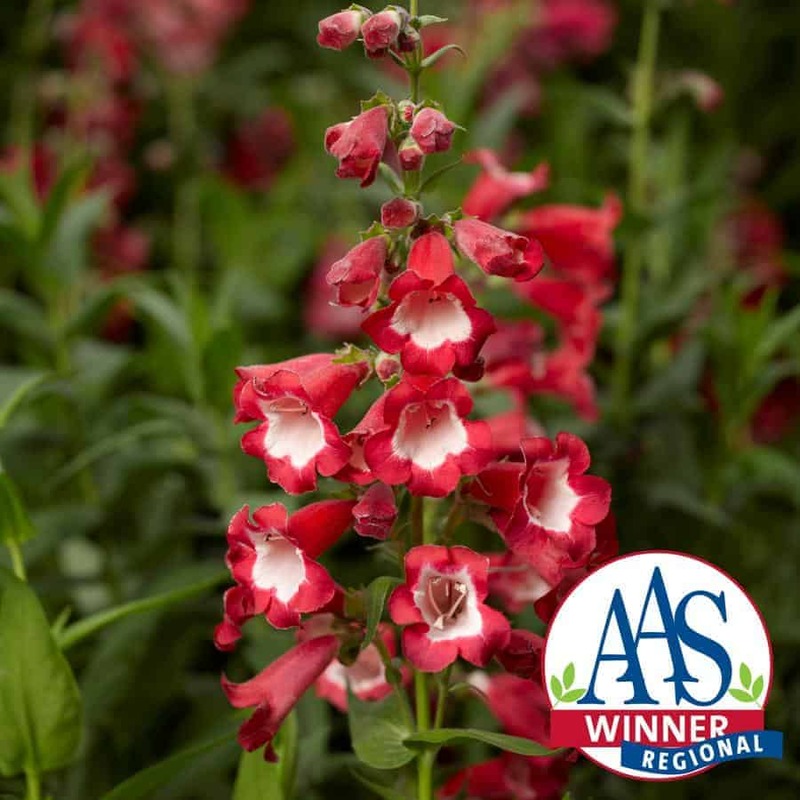 This AAS Winner has a mounded, semi-spreading growth habit with strong stems supporting the flower heads that are loaded with deep red blossoms. 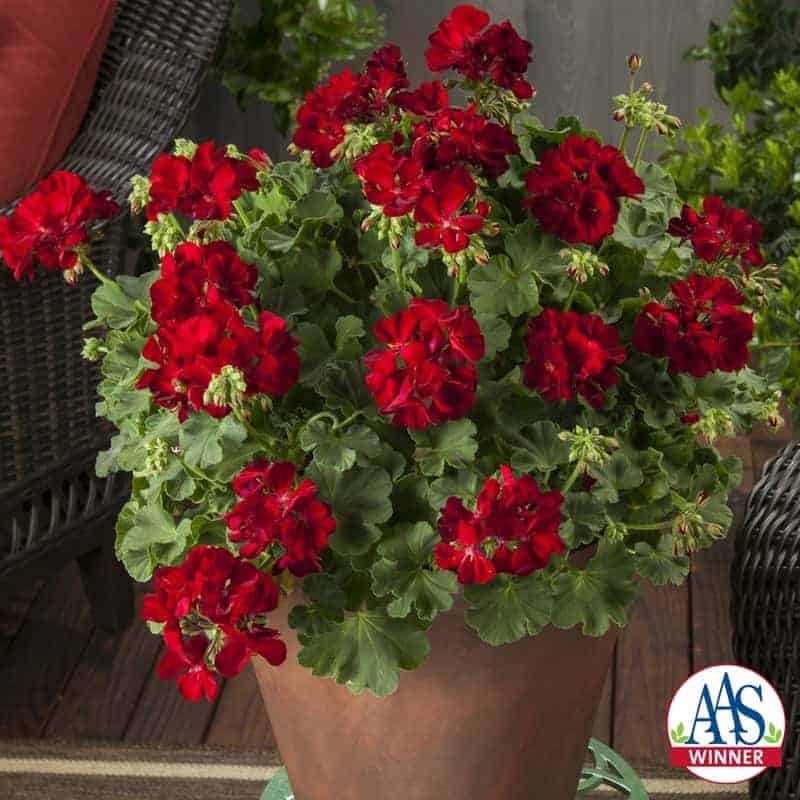 If you want a true, deep red flower that won’t fade in summer’s heat, choose either of these AAS Winners. Hooray for purple and white! 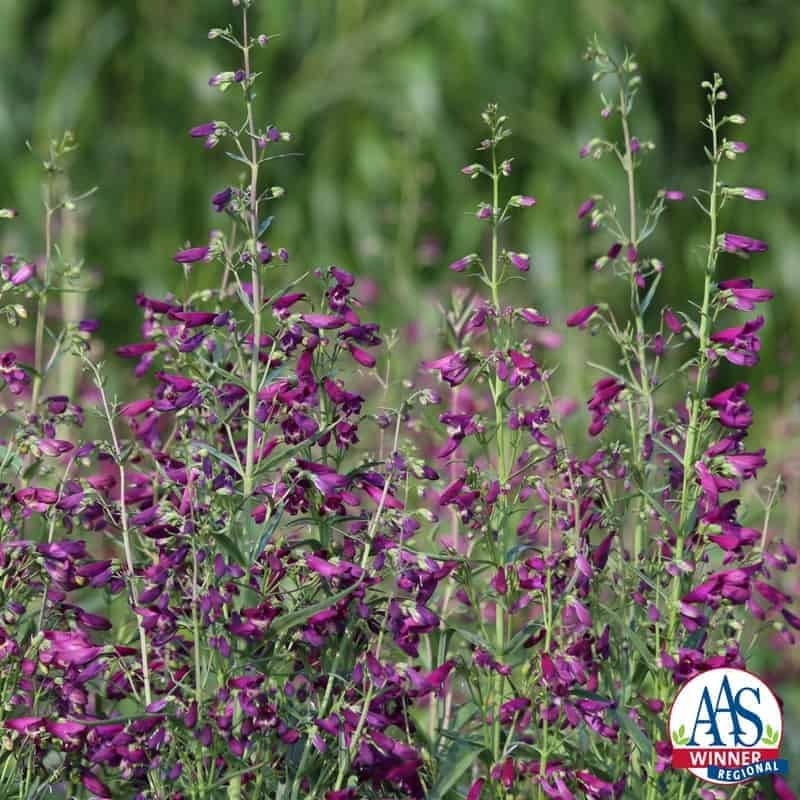 Combining Summer Jewel White salvia with Twizzle Purple Penstemon barbatus will create a showy and airy pollinator-friendly collection sure to be a hit with the purple and white team fans. 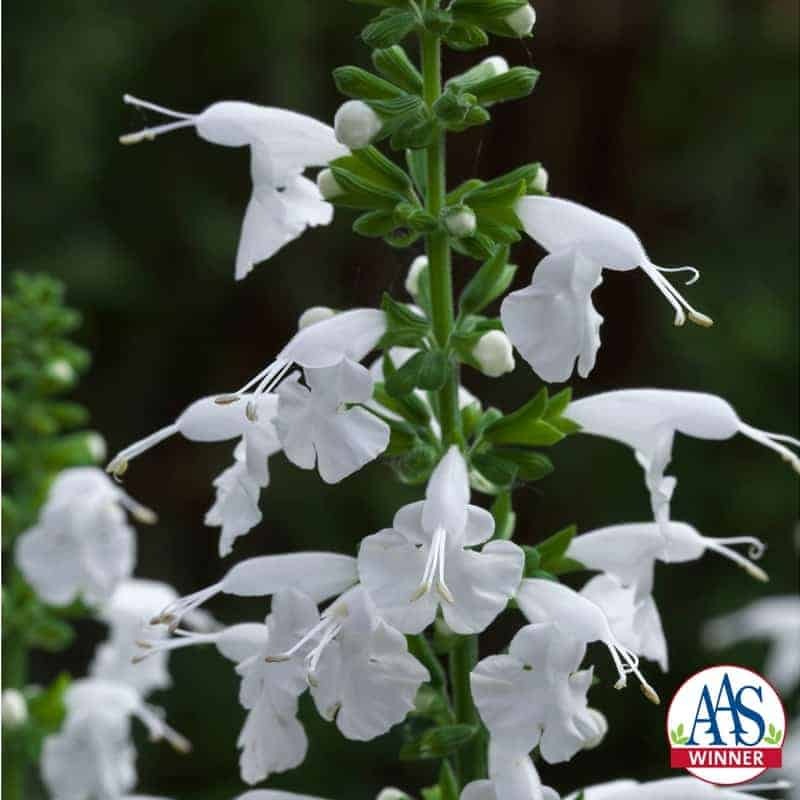 Summer Jewel™ salvia white brings a much-needed color to compact salvias. This dwarf sized, compact plant has a prolific bloom count throughout the summer. As a bonus, the blooms appear almost two weeks earlier than other white salvias and the bees, butterflies, and hummingbirds loved the larger flowers, making it perfect for a pollinator garden. Twizzle Purple penstemon brings vibrant purple blooms as a unique color in penstemon! Twizzle Purple was judged as a first-year flowering perennial by judges who were impressed with the upright plant habit and superb flowering performance. This North American native blooms profusely from mid- to late summer with 1-inch tubular flowers on long slender stalks that grow up to 35 inches high.